The Risk To Benefit Ratios Of Extreme Fat Loss Techniques! Understanding risks and benefits enhances your training experience by providing you with more choices and helping you make better decisions. This article presents fat loss techniques with risk to benefit ratios. Ken Kinakin recently wrote a book called Optimal Muscle Training, which is all about biomechanics, anatomy, muscle testing, resistance training technique, and injury prevention. I consider it groundbreaking, because Kinakin did something rarely seen in mainstream fitness literature. Rather than make sweeping generalizations about exercise safety or usefulness, he analyzed 125 popular weight training techniques and rated them according to risk and benefit. Understanding risks and benefits enhances your training experience by giving you clearer distinctions, providing you with more choices and helping you make better decisions. For example, some exercises have low risk and high benefit, making them excellent choices for almost anyone. Others have high risk and low benefit, which usually indicates a poor technique best avoided. There are also exercises with high risk and high benefit, which means the exercise, although risky, could have high value to advanced trainees under certain circumstances. If you asked a typical personal trainer at a health club whether it was okay to perform squats with your heels elevated on a board or wedge, 99% of them would cringe and scream, "That's terrible for you! You'll blow out your knees! Never do squats with your heels elevated - always do them flat footed." This is a typical "good or bad" response, but this type of judgment neglects to acknowledge the risk to benefit ratio. The benefits include greater quad development, less hip involvement, more emphasis placed on the medialis portion of the quadriceps. The risk is greater stress on the knees. The benefits include greater quad development, less hip involvement, more emphasis placed on the medialis portion of the quadriceps, a more comfortable position for those who lack flexibility in the ankles, and a more upright torso with less stress on the lower back. So what does all this have to do with losing fat? Well, I see the same phenomenon among fitness professionals and practitioners alike when it comes to judging the usefulness of fat loss techniques (training or dietary), especially today with the anti-aerobics pendulum having swung all the way to the right. "You should never do cardio on an empty stomach because that causes you to lose muscle." "Low carb diets don't work because they deplete your glycogen and kill your energy so you can't train hard. Always eat plenty of carbs." A better approach would be to analyze each nutrition or training technique according to its risk to benefit ratio (rather than focusing only on risks, and denying that any benefits exist). Just like all strength training activities carry a risk, so do most fat loss techniques. What makes an exercise or nutrition technique worth including in your program is whether the benefits outweigh the risk given your particular situation. What I'd like to do is review a group of aggressive, extreme and/or controversial techniques for fat loss which some bodybuilders and fitness enthusiasts embrace as safe and highly effective, while others claim they're worthless, dangerous or counterproductive. By weighing the risks and benefits of each technique, you'll be able to make a much more educated decision about whether to use these techniques yourself. In Kinakin's book, he outlined a simple three-point rating system with Low (1), Medium (2) and High (3) risk-benefit ratings, which I have adopted here for fat loss techniques. An exercise that is low risk (1), low benefit (1) might safely provide benefits to a beginner, but would do little for advanced trainees. 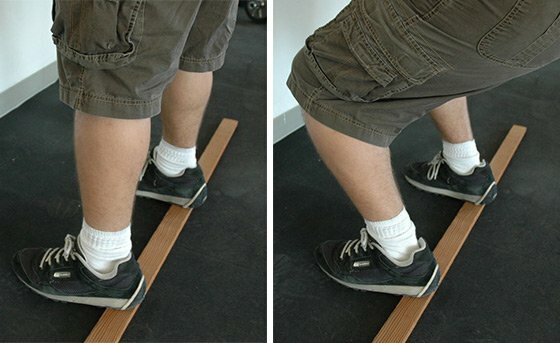 An exercise with high risk (3) and low benefit (1) shows poor technique with high potential for negative effects (such as muscle loss, overtraining or injury), which are not balanced by any substantial benefits. Low risk (1) and high benefit (3) generally indicates an all-around excellent method with great benefits and virtually no downside. Techniques can also fall somewhere in the middle (medium risk and medium benefit). After seeing how risks and benefits can be weighed against each other, the lesson becomes clear: Many high risk methods do have applications under the right circumstances - provided the benefit is also high. Ski trails are marked with different colors and labels; the green circle for the beginner trail offers the lowest difficulty and lowest risk of injury, but offers the least benefit or gratification during the experience. The black diamond slopes are for expert skiers with the highest degree of difficulty and highest risk of injury, but they also provide the greatest benefit and gratification during the experience. 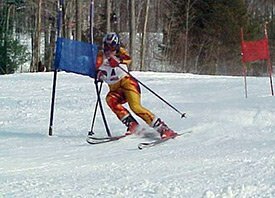 A beginner to exercise and dieting who hasn't even mastered fundamentals would not be any wiser to use the high risk, "advanced" fat loss or training technique any more than a novice skier would to take a plunge down a black diamond ski slope. With risk management and careful tracking of results, high-risk fat loss techniques can often be used very successfully. The ratings of each technique that follow will help you decide which ones best apply to you. One of the most controversial fat loss techniques is performing cardio first thing in the morning on an empty stomach. This method is widely embraced by bodybuilders and recommended by many trainers and nutritionists. Other experts claim that the risk of muscle loss is too high and they argue whether workout timing makes any difference in the overall scheme of 24 hour energy expenditure. With low blood sugar and glycogen levels on awakening, it appears that the body is in a perfect state to burn fat preferentially, but that, combined with high a.m. cortisol levels, means it may also be a perfect state to burn muscle. Therefore, the benefit is high, but so is the risk. Body composition must be carefully monitored when using this technique. One of the biggest concerns brought up by opponents of fasted morning cardio is the potential for losing lean body mass. One way to help combat the possible loss of lean body mass is to eat a small protein-only meal or to consume a protein drink (no carbs) immediately upon awakening, then perform the cardio shortly thereafter. This decreases the risk by suppressing cortisol and preventing muscle breakdown, while maintaining the high benefit by keeping your blood sugar and insulin levels low. Many bodybuilders and weight loss seekers perform cardio late at night and then do not eat afterward in an attempt to increase fat loss. There are benefits to this method, but they are moderate at best, and the risks are high. Late night training may also keep you awake, disrupting your sleep cycle and recovery. Once you do fall asleep, your metabolic rate decreases rapidly, so you don't reap the full value of the post workout metabolic increase that is achieved with exercise earlier in the day. Risk of muscle loss is high, so body composition must be monitored very closely. One of the most popular trends in fitness today is high intensity interval training (HIIT). These workouts consist of short periods of high intensity work intervals followed by short periods of lower intensity recovery intervals. Generally, the intervals are 30 to 120 seconds in length and the total duration is in the 15-25 minute range. Research has shown that HIIT causes a larger increase in post-exercise energy expenditure than moderate intensity, steady-state exercise, which keeps you burning calories at an elevated rate for an extended period even after the workout is over. There are risks, especially to the beginner, the deconditioned or the person unaware of his or her health status. However, because intensity is relative to each individual, risk is moderate and easily managed, while the benefits are high. For someone who is already highly fit, the risks are lower. When cardio is performed for a moderate duration (approx 30 to 45 minutes per session) with the intensity held at the upper end of the "target heart zone," (moderate to moderately-high), body fat can be burned very effectively during the session. There is also a substantial post exercise elevation in metabolic rate, which, although not as high as that experienced from HIIT, also has a measurable impact on fat loss after the workout. Long duration cardio (60 minutes or more) does carry the benefit of more calories burned from fat and a moderately high cumulative calorie burn. However, intensity and duration are inversely related, therefore long duration cardio, by nature, is low in intensity. Low intensity cardio, while having the benefit of burning more fat relative to carbs, does not burn as many total calories per unit of time, nor does it have much impact on post exercise energy expenditure. This makes long duration, low intensity cardio (such as walking) most appropriate as a fat loss technique for beginners who can't achieve higher intensities yet. Furthermore, this method is not time efficient. Hiking or a long walk can be a very good (if not ideal) fat loss method for someone who is unfit, older, overweight, or has orthopedic problems. It also provides great health and even mental benefits. But there is little point in doing an hour or more per session when you can achieve equal if not greater calorie burn and post exercise metabolic increase by doing briefer sessions with higher intensity. First, total caloric expenditure is increased over the course of the week. Since fat loss is a function of calories burned versus calories consumed, increasing cardio activity from three days per week to six days per week, will in theory, double the rate of fat loss in that period. Second, frequent cardio helps maintain metabolic momentum and keeps the metabolism "spinning" by avoiding long periods of inactivity, resulting in metabolic slowdown. These two factors make the benefit of this technique high. There is moderate risk, however, of overtraining or muscle loss. Risk of aerobic adaptation also increases if the high frequency is maintained over a prolonged period of time. Risks increase relative to the duration of each session and the number of weeks the high volume is maintained. Brief daily sessions have an even more favorable risk to benefit ratio. Ironically, one of the fat loss techniques with the best risk to benefit ratio has nothing to do with dieting or aerobics. Most bodybuilders decrease their rest intervals between sets and exercises prior to competitions in order to boost intensity, increase hypertrophy, release more growth hormone and simultaneously burn more fat. This is known as high-density training and the goal is to condense more work into less time. The risks are low because even beginners can use the technique; they simply need to adjust the amount of resistance to their strength level. Strength gains are compromised on this type of program, but assuming the goal is fat loss, not strength, that would not be considered a risk. Benefits are highest when the majority of exercises selected are multi-joint movements involving large muscle groups, and/or activating the entire core musculature. A very high protein diet that is nearly devoid of carbs AND fat can cause very rapid weight loss, but the risk of muscle loss is extremely high. An example of this diet is the meat/fish and water diet or the slightly less severe lean protein and green veggies diet. By eating lean protein with high fat and keeping carbohydrates so low that you enter ketosis (usually 30-70 grams of carbs a day or less), many dieters report reaching levels of leanness they were not able to achieve with any other method. Reducing carbs drastically does seem to accelerate fat loss in virtually any body type, but seems to have greater benefits for those who were carb sensitive to begin with. Other people report only moderate fat loss but great losses of energy, weakness and loss of mental acuity and concentration. The benefits of low carb diets in general seem to vary from person to person and a major risk, in addition to those already mentioned, is the regain of lost weight with rapid reintroduction of carbohydrates. A slow transitional period into maintenance decreases the risks. Benefits may be higher if some form of "re-feeding" is employed (such as cyclical ketogenic dieting). Many people still believe that severely cutting calories is the best and fastest way to lose body fat. While sharp reductions in calories may cause large and rapid losses of weight, much of the weight loss is often muscle and water, and the risk of long term damage to the metabolism, plateaus and weight re-gain is very high. Some people are consciously aware of the risks, yet they choose to employ severe calorie cutting anyway because they're under time pressure to achieve a fat loss goal. However, the risks are so high and the benefits are so low, it would be more advisable to use a combination of other techniques that offer greater benefits relative to the risks. Another controversial technique for accelerating fat loss is the avoidance of food for at least two to three hours before bedtime. Increased fat loss is achieved by increasing the length of the nighttime fast (which is broken by "break-fast"). Fat loss is also believed to be increased by avoiding food at a time when activity levels will be low (and the body will not be burning many calories), when glycogen may be topped off from a full day of eating, and when insulin sensitivity is lower. The potential benefit is high, but so is the risk. Body composition must be carefully monitored when using this technique. Calorie or carbohydrate tapering involves decreasing carbohydrate portions and or total meal size as the day goes on. This technique works for the same reasons and carries the same risk-benefit ratio as the previous technique, although risks can be kept lower by eating a protein-only or protein and fat meal close to bedtime. Some popular fat loss programs specifically advise not eating for a specified period of time (usually one to two hours) after cardio (and or weight training) in order to "maximize the post-exercise fat burning effects of the cardio." While this may accelerate fat loss slightly, the risk of inadequate recovery and loss of lean tissue is very high. The research is very clear on this point: The post workout meal (protein at the very least), should not be delayed, regardless of whether the activity is strength training or cardio training. Risk management seems to be the key, rather than risk avoidance. "High risk doesn't automatically mean that you will be injured. It only indicates the possibility, not the certainty of injury." Describing nutrition and training techniques with generalizations such as "always" use this technique and "never" use that technique, limits the effectiveness of your fitness experience by limiting your options. Without the ability to make distinctions between risk and benefit, you not only set yourself up for injury and overtraining, you also may be missing out on much greater fat loss than you are potentially capable of achieving, and you may never achieve single digit body fat or extreme levels of leanness if that is your goal. All else being equal, the man or woman with the most choices and possibilities for action is the one who is most likely to succeed - not the person who always plays it safe.